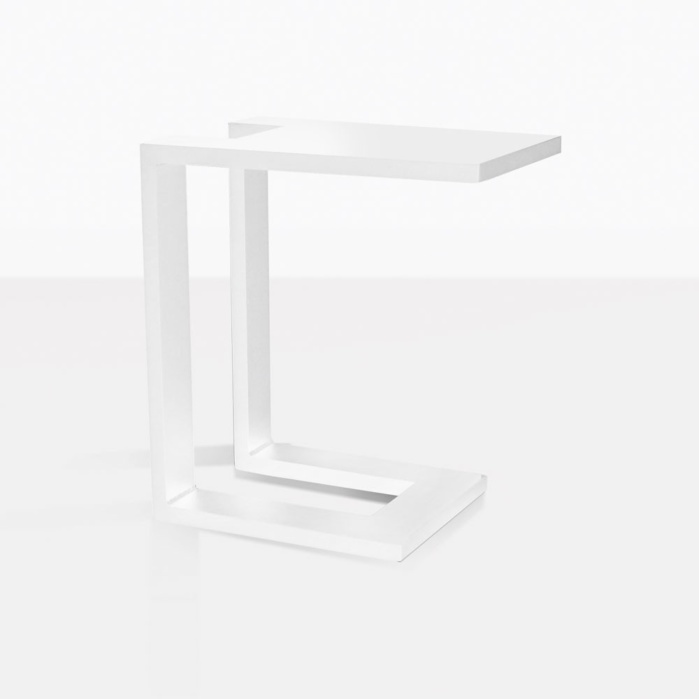 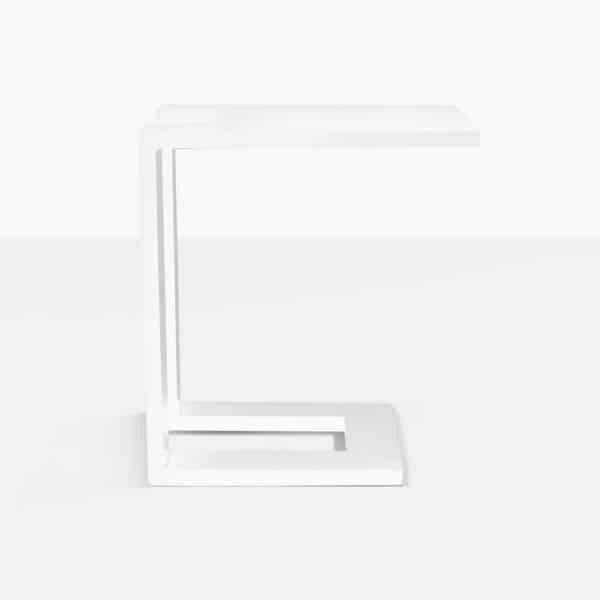 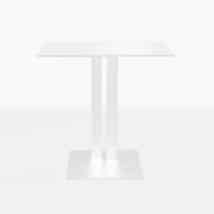 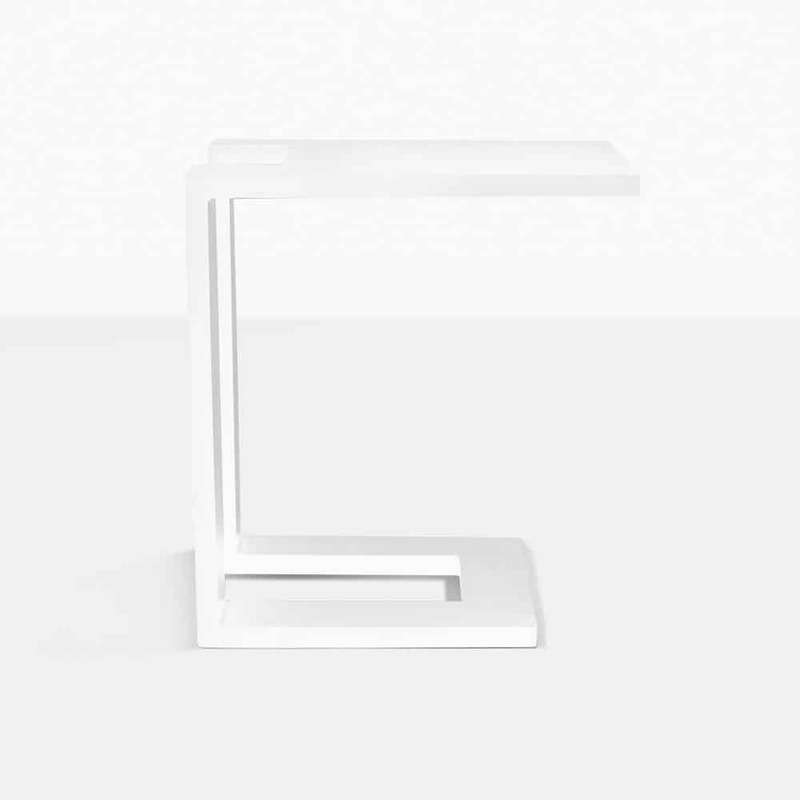 Function and design work beautifully together to create the Montgomery Side Table in white powder-coated aluminum. 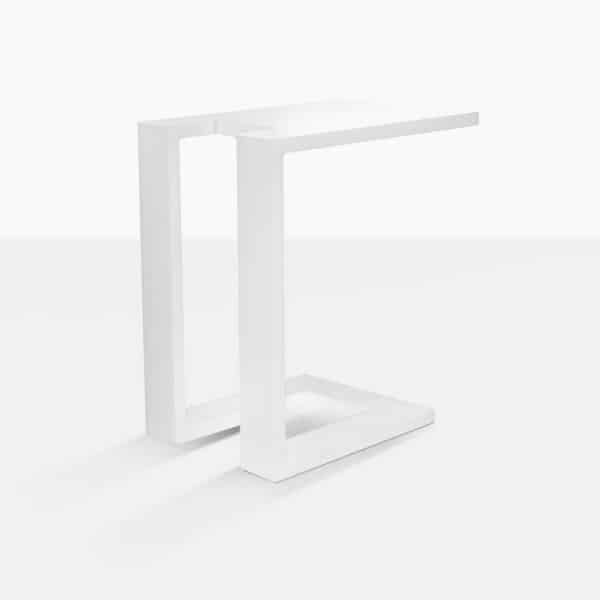 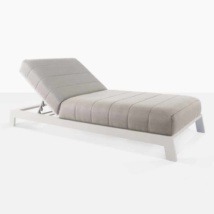 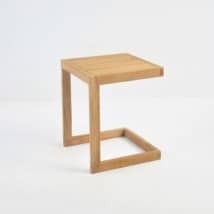 It has a cantilever shape that allows you to slide the base under your sun lounger or sofa and instantly have a tabletop to rest your favorite drink and snack. 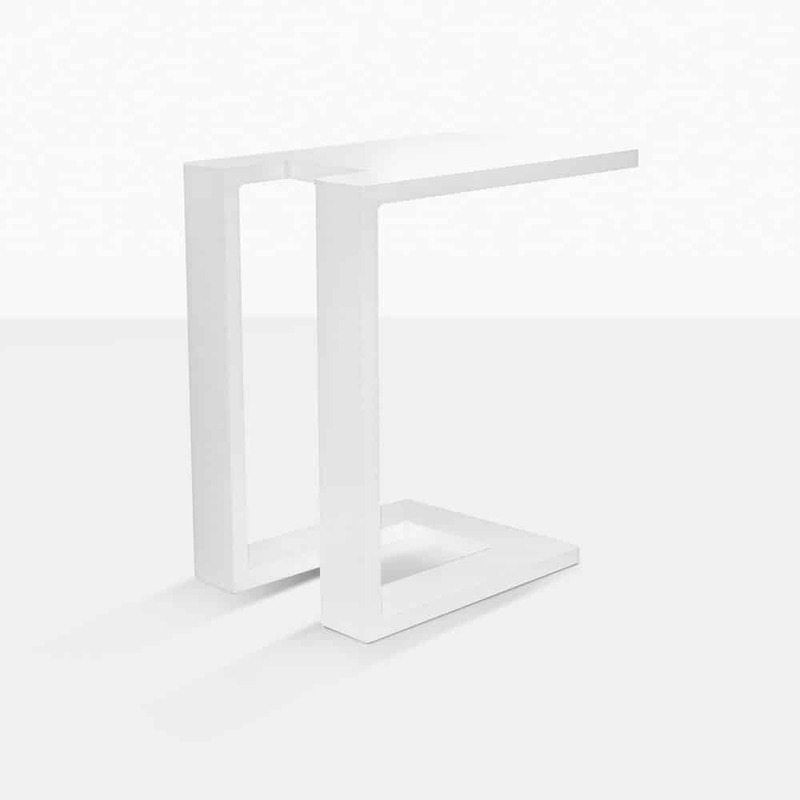 L13" x W19" x H21"